We offer a wide range of reports and decision-making material on sustainability, with insights from different countries, markets and stakeholders. We specialise in in-depth market research and quantitative and qualitative stakeholder interviews as a basis for all our research. All data & results are brought to life with graphs, visuals tools and strategic recommendations for your brand and purpose. Gain knowledge and understanding on how sustainability affects your stakeholders. Our expertise can be found in measuring and analysing attitudes, behaviours and drivers. We are furthermore experts in conducting consumer surveys and our research provides us with almost a decade worth of consumers data. Learn more about how your stakeholders perceive today’s sustainability issues and your brand. Get a complete mapping of the maturity of circular behaviour and business models and learn more the implications for your brand or organisation. We specialise in research on the circular economy, including policy developments, knowledge levels as well as the attitudes, behaviours and focus areas of consumers and decision-makers. Let us know what type of report or insights you are looking for. We are looking forward to discussing the possibilities. We respect your privacy. We will only use the information you provide on this form to provide you with relevant information related to your request. You can read our Privacy Notice here. We can read our Privacy Notice here. Do you have a request or idea? 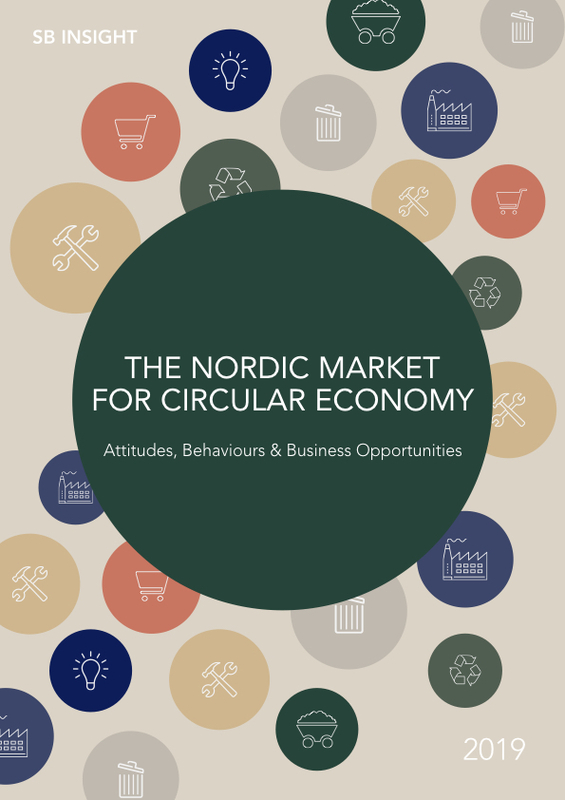 The Nordic Market for Circular Economy 2019 is a report that contains a complete mapping of the maturity of circular behaviour and business models in the Nordics. The report provides comprehensive insights, including market developments, trends, expert interviews and and consumer behaviour around a circular economy. We will use the information you provide on this form to provide you with relevant information related to your request. We will treat your personal information with respect. Read our Privacy Notice here. Thank you! You can download the report here. The Nordic Market for Circular Economy 2018 is a report that contains a complete mapping of the maturity of circular behaviour and business models in the Nordics. The report provides comprehensive insights, including market developments, trends, expert interviews and and consumer behaviour around a circular economy. Nordic Consumers & Climate Change is a report that aims to educate, inspire and create engagement around climate issues. The report touched upon: policy issues, governance and responsibilities. It furthermore provides insights in how consumes perceive climate change and what the conditions are for successful communication about climate issues. Millennials, Generation Z & Sustainability is a report that zooms in on the youngest generations in society. What do millennials and generation Z think about in terms of sustainability, companies and their own role in society? The report shows attitudes, behaviours around sustainability and translates these in marketing and communications strategies. Welcome to our newsletter, we will keep you up to date!